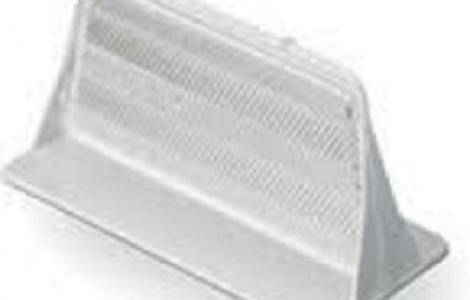 Brighten the road ahead with high power concrete barrier reflectors. Made with an injected ABS housing for strength, and an acrylic corner cube prismatic reflectors. Excellent visibility, due to the unique 6-point prism design, gives motorists an extra margin of safety even in inclement weather. Smooth as glass exterior makes the reflector self-cleaning. Interior prismatic surfaces are completely sealed against the elements for long-lasting brightness. Provides exceptional night-time guidance to oncoming motorists. 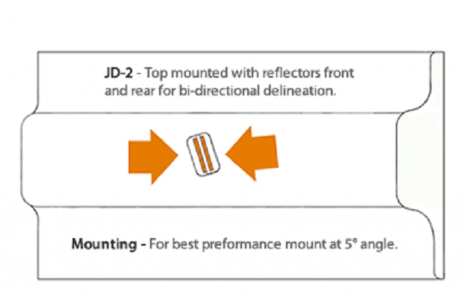 JD1 reflectors are installed using a recommended adhesive. Available as single or double sided units with a choice of lens colour. Concrete barrier reflectors can also be mounted on bridge parapets and tunnels for night-time illumination. 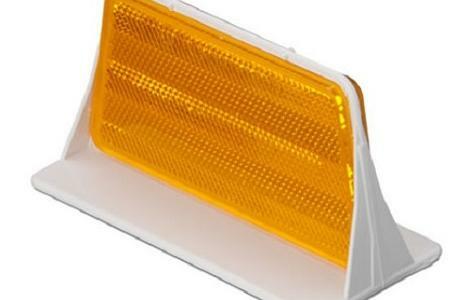 JD1 barrier mounted reflectors are a long-lasting traffic safety device.